01:00 — Today’s top news headlines from local to global current affairs — radio news roundup you won’t hear anywhere else. 14:00 — Interview with Andrew Weaver (newly elected MLA for the Green Party of BC), on being the first Green elected to a provincial legislature in Canada, the need for a “Legislative Budget Officer,” vote-splitting as “rubbish,” and the false economic of liquified natural gas and fracking. 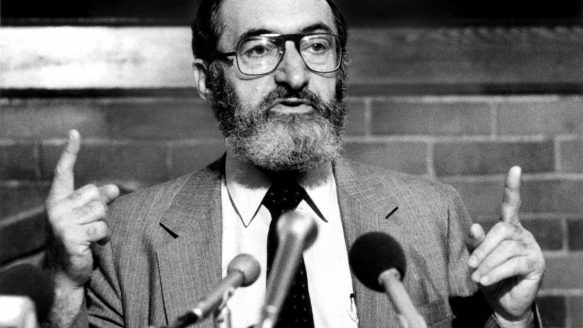 27:30 — Interview with Judy Rebick (author, Ten Thousand Roses: The Making of a Feminist Revolution), on the legacy of Dr. Henry Morgentaler, who died yesterday — how he shaped Canada’s reproductive rights movement, and what he was like as a person. 45:00 — Interview with Charlie Smith (editor, The Georgia Straight), on a new proposed TEAM political party in Vancouver; the controversial redevelopment of Oakridge; and more local news. Music: Wailin’ Jennys (“Apocalypse Lullaby”), Yusuf Islam (“Where do the children play” Live), Kytami (“Death’s Beauty”), Ani Difranco (“Hello Birmingham”).